Marble is known as a metamorphic rock that is formed from the recrystallization of carbonate materials beneath the earth’s surface. Most commonly, marble is formed from limestone and other base minerals that are naturally found in the earth’s crust. Marble is an inherently cool stone, and remains markedly cooler than room temperatures in any setting. Bakers and chefs alike love kitchen marble countertops because it is the perfect surface for preparing and rolling out doughs and pastries. But you don’t have to be a culinary expert to enjoy the benefits of marble kitchen countertops. Marble is also a soft, highly-porous stone, which means it’s incredibly susceptible to staining. It’s because of this inherent porosity that your kitchen marble countertops will need a moderate amount of maintenance and care. Acidic materials like alcohol, soda, citrus, and coffee should be promptly and thoroughly cleaned from your marble countertops to prevent etching and staining. In addition, it’s highly recommended to routinely apply a high quality sealant to help to protect your investment and keep it looking as gorgeous as the day it was installed. Because of the softer composition of marble, this stone may not be the best choice for heavily-used kitchens. Bathroom marble countertops and vanities are a great choice for those who feel this stone may not be well-suited for kitchen use. 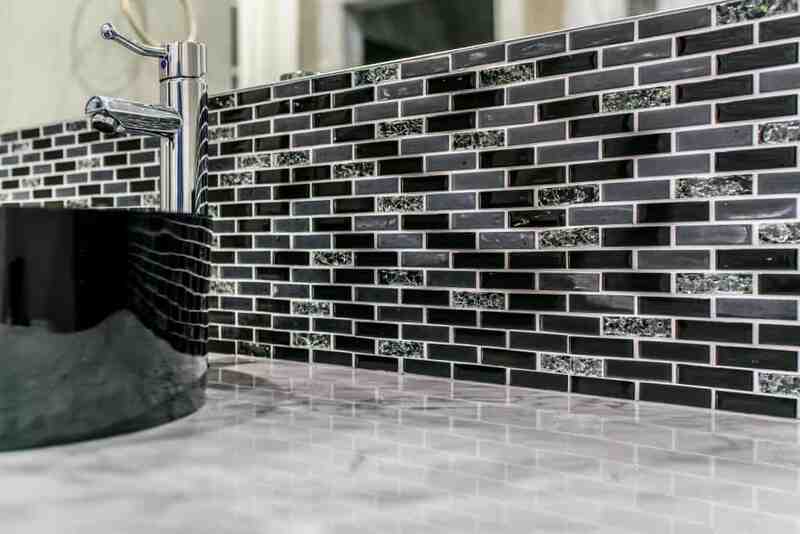 It’s well known that marble maintains a naturally cool temperature, however many are surprised to learn that this gorgeous stone offers impressive heat resistance as well. This means you won’t have to worry about damaging your bathroom marble countertops with the heat from hair styling implements and more. Marble can be found in a wide variety colors with a palette that’s both bold and plentiful. Regardless of your style, taste, or design, you can be sure to find a color that will perfectly compliment your vision for your new space. From creamy whites and soft pinks to blissful blues and deep, rich blacks, the possibilities are simply endless. Marble is quarried from all around the world. Some of the most popular regions include: Italy, Greece, Germany, and the United States. Each marble quarry will produce natural stones that are truly unique in appearance. Each site around the world is comprised of a unique blend of minerals that will determine the specific color. Once the stone stone from a particular quarry is gone, it can never be replicated or reproduced. When you choose marble countertops for your new project, you can enjoy a number of benefits. Marble countertop installation is a great choice for your kitchens, bathrooms, vanities, and more! This natural stone will add an unsurpassed beauty to any space, and with the proper care and maintenance your marble countertops will last for decades. Marble can be used to complement and accentuate any design style imaginable - from contemporary to modern and everything in between. Marble countertops offer decades of superior performance with a one-of-a-kind beauty that simply cannot be reproduced by man or nature. You’ll never have a need to replace your new countertops unless you simply want to! And, if you ever decide to place your home on the market, this high-end feature will help make your home stand out in a crowded market. 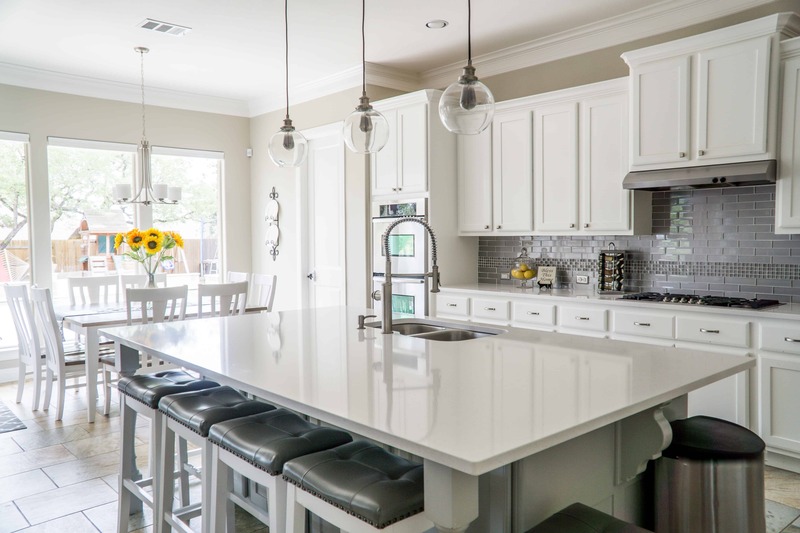 Your marble countertops will appeal to a wider range of potential buyers who are looking for a new home with high-end features. In addition, the presence of this timeless, sophisticated stone may prompt serious buyers to place a higher offer, giving you the best return on your investment.